Kwanzaa is a great crafting holiday because it is full of so much symbolism. By crafting many of the symbols each can be focused on individually to also discuss the meaning behind it. Some of the crafts can be used for table decorations where it would be suitable for kids to make African style crafts. Crafts to represent each of the seven principles can also be made and presented on the day when that principle is celebrated. The Seven Principles are Unity, Self-Determination, Collective Work and Responsibility, Cooperative Economics, Purpose, Creativity (this is a particularly good day to be doing crafts), and Faith. Kwanzaa Greeting Card Making Crafts for Kids - Make an African Styled Art Kwanzaa Greeting Card to celebrate Kwanzaa this year. This card is very simple to make and just requires some paper , scissors and glue. The simple instructions for making this colorful Kwanzaa greeting card are as follows. Collection of Kwanzaa Crafts - Here are our favorite Kwanzaa crafts ideas from around the net. A Box of Crayons : African Crafts Ideas for Kids - This is a craft with a great lesson in celebration of Kwanzaa. Adinkra Printing : Kwanzaa Crafts for African American Kids - Learn how to make an Adinkra printing which is a popular cloth worn in the Western Africa. 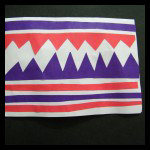 Adire Cloth : African Crafts Ideas for Kids - Celebrate Kwanzaa by decoration your home with this Adire cloth. African Drum Crafts Project for Kwanzaa - Your children can celebrate Kwanzaa by making their own African Drum to play with. African Gold Weights - In this tutorial you will learn how to make African gold weights which is an ancient form of African currency. African Drum : African Crafts Ideas for Kids - Find out how you can make an African drum using drinking cups. African Drum : African Crafts Ideas for Kids - Follow these instructions to make a traditional African drum. African Hut Kwanzaa Craft - Making an African hut is the perfect Kwanzaa craft for children. African Masks Printables - A LOT of printable African Masks that are a lot of fun to wear. You might even like their Other African Printable Crafts Here. Amazing African Masks Craft for Kids - Celebrate Kwanzaa by wearing this amazing homemade African mask. Animal Anklet - Celebrate Kwanzaa by making and wearing this amazing animal anklet. Animal Cracker Magnets - Use these animal cracker magnets to hang yout Kwanzaa art on your fridge. Barotse Bowl - Learn how to make a Barotse bowl to hold your Kwanzaa meals. Bottle-cap Tambourines : African Arts and Crafts Ideas for Children - Shake these homemade bottle-cap tambourines to celebrate Kwanzaa with your family and friends. Corn Cob Craft - Print the free template of the corn cob and follow the instructions to make this amazing corn cob craft. Corn Collage - Find out how to make this corn collage using construction paper, popped corn. scissors, jumbo craft sticks, craft glue and the printable pattern. Cute Kinara Paper Craft - Children of all ages can make this cute Kinara for Kwanzaa. Doll Pin Kinara : Kwanzaa Arts and Crafts Ideas for Kids - Make this Kwanzaa Kinara using 7 wooden doll pins and 8 wooden spools. Ear of Corn Place Cards : Kwanzaa Arts and Crafts Ideas for Kids - These place cards will be a great table decoration for Kwanzaa. Egg Carton Kinara - Celebrate Kwanzaa with this easy to make Kinara made from an egg carton and jumbo sticks. Egg-citing Safari - Use eggs and an egg carton to create your own Kwanzaa safari decoration. Easy Kwanzaa Kleenex Box Cover - This Kwanzaa Kleenex box cover is very easy and fun to make. Fabulous Felt Kinara for Kwanzaa - Learn how to make a beautiful Kwanzaa Kinara out of felt. Family History Book for Kwanzaa - This easy to make family history book is the perfect children’s craft and gift for Kwanzaa. Family Trees from Handprints Kwanzaa Tradition- Make a cool family tree from the handprints of all your family members. Felt Kufi : African Arts and Crafts Ideas for Children -Find out how you can use felt to make this amazing Kwanzaa traditional headwear, Kufi. Fimo Kinara - Learn how your children can use red, green, and black fimo clay to make a Kwanzaa Kinara. Flags of Africa Kwanzaa Cards - When you find the flag that represent your family's heritage, you can use that flag to make Happy Kwanzaa greeting cards for your family members. Freedom Friends : African Arts and Crafts Ideas for Children - Make these freedom friends puppets to teach your children about freedom and diversity. Glittering Freedom Bell : African Arts and Crafts Ideas for Children- Celebrate Kwanzaa with your children by making this beautiful glittering freedom bell. Handprint Kinara Kwanzaa Craft for Kids - Make a cool Kinara for Kwanzaa using your handprint and construction paper! Kalah Game for Kwanzaa - Learn how you can make a Kalah game using an egg carton, scissors, tape and 36 marbles. Hanging Kwanzaa Kinara - This is a Kinara craft for young kids which they can proudly hang on their bedroom wall after it is finished. Kente Cloths : African Arts and Crafts Ideas for Children- An interesting African craft for kids. Kinara Centerpiece - Learn how to make this beautiful Kwanzaa decoration, a Kinara centerpiece. Kinara for Kwanzaa Craft - This is a fun Kwanzaa craft for the older kids. Kinara Making Crafts Instructions for Kids - Celebrate Kwanzaa with your kids by making this Kinara decoration with them. Kwanzaa Bag - Send someone a Kwanzaa gift in this beautiful Kwanzaa gift bag. Kwanzaa Banner Crafts Activity for Kids - Find out how you can make an amazing Kwanzaa banner with a Kinara design. Kwanzaa Bead Candles : African Arts and Crafts Ideas for Children - This craft will teach children the seven principles of Kwanzaa. Kwanzaa Calendar - This is a great and colorful Kwanzaa calendar craft especially for children. Kwanzaa Candle Craft - Learn how to make this candle craft to celebrate Kwanzaa with your kids. Kwanzaa Candles Card - Send your family and friends Kwanzaa greeting with this beautiful Kwanzaa candles card. Kwanzaa Candles With Secret Treat - Decorate your home for Kwanzaa with these Kwanzaa candles. Kwanzaa Card Crafts Project - Wish someone a Happy Kwanzaa with a colorful homemade Kwanzaa card. Kwanzaa Chains - Decorate your house to celebrate Kwanzaa with these cool Kwanzaa chains. Kwanzaa Corn Necklace - Make this beautiful corn necklace to wear at your Kwanzaa celebration. Kwanzaa Corn Pin - A fun Kwanzza craft for children where they make a corn pin using woodsies. Kwanzaa Family History Book - Celebrate Kwanzaa with your kids by showing them where they came from with a homemade family history book. Kwanzaa "Friends" Paper Doll Craft - This paper doll is the perfect Kwanzaa craft for young children. Kwanzaa Handprint Wreath Craft for Kids - Make a simple but amazing Kwanzaa handprint wreath using your handprints, construction paper, glue, and scissors. Kwanzaa Kinara : Crafts to Celebrate Your African American Heritage - Learn how your children can make a pro box for Kwanzaa Kinara. Kwanzaa Mobile : Crafts to Celebrate Your African American Heritage - Make this amazing Kwanzaa mobile using red, black, yellow and green felt. Kwanzaa Napkin Ring Craft - These napkin rings would look great on any table during the Kwanzaa celebration. Kwanzaa Necklace : Crafts to Celebrate Your African American Heritage - Celebrate Kwanzaa by wearing this special Kwanzaa necklace made from Kwanzaa holiday colors. Kwanzaa Party Favors - Make these miniature flag party favors for your Kwanzaa party! Kwanzaa Place Mat - These Kwanzza place mats will look great on your table for the Kwanzaa celebration. Kwanzaa Yarn and Ribbon Craft - This is a fun and easy Kwanzaa craft for children of all ages to enjoy. Make an African Drum - Celebrate Kwanzaa by using this homemade African drum to play traditional African music. Make an African Mask/Shield : Crafts to Celebrate Your African American Heritage - Follow these instructions to make a cool homemade African mask. Make a Kufi Hat Crafts Project for Kids - In this tutorial you will learn how to make a traditional African hat from a brown paper bag. Make a Papier Mache Bowl for Kwanzaa - Make a papier mache bowl for your Kwanzaa table. Make A Rain Stick for Kwanzaa - How to make a rain stick for Kwanzaa celebration and play. Make A Woven Mat : Crafts to Celebrate Your African American Heritage - This woven mat will look great on the dinner table at a Kwanzaa celebration. Mancala Game - Make this fun African Mancala game to play during the Kwanzaa celebration. Mkekea Craft Kwanzaa Activity Idea for Kids - Learn how to make Mkeka mats using construction paper, ruler, pencil, scissors and glue. Mkeka Mat Making Instsructions for Kwanzaa- This Mkeka mat craft is a fun and simple Kwanzaa craft for kids. Musical Drums for Kwanzaa - Celebrate Kwanzaa by playing traditional African music with this homemade musical drum. My Kwanzaa Family - Show your family how much they mean to you by making a "My Kwanzaa Family" craft for them. Sign My Kwanzaa Tablecloth - Start this cool Kwanzaa tradition with your family and friends. String of African Flags - Decorate your bed room for Kwanzaa with a string of African flags. Sweet Corn Fuse Bead Pattern - Try this sweet corn fuse bead pattern at Kwanzaa. Unity Cup to Celebrate Kwanzaa - Learn how to make a Unity Cup which is used on the sixth day of Kwanzaa to perform a libation ritual during the Karamu feast. Vinyl Placemat Crafts Project for Kwanzaa- Make these amazing vinyl placemats for your Kwanzaa celebration dinner.